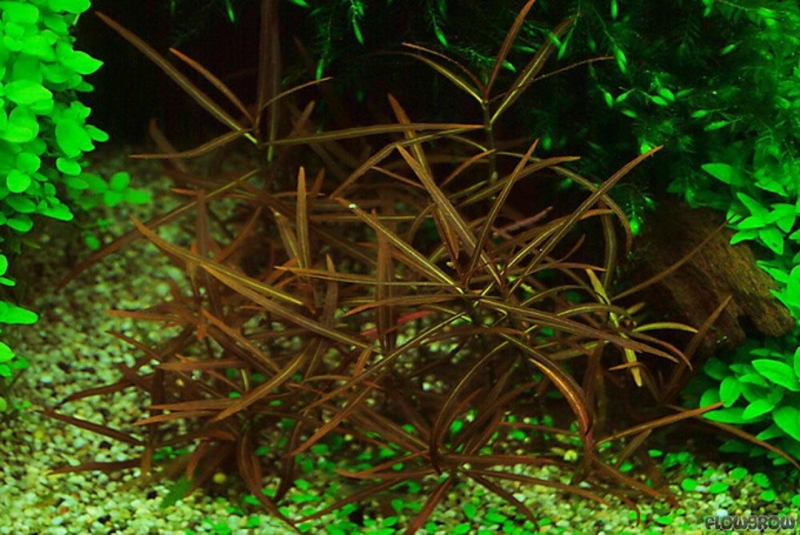 Hygrophila lancea (formerly named Hygrophila sp. Araguaia) has a natural low stature making an ideal foreground or midground plant. Unlike other Hygrophila species, this lancea grows at a moderate pace therefore it is easy to maintain. This plant has dark red to brown slender leaves with a light coloured central vein. 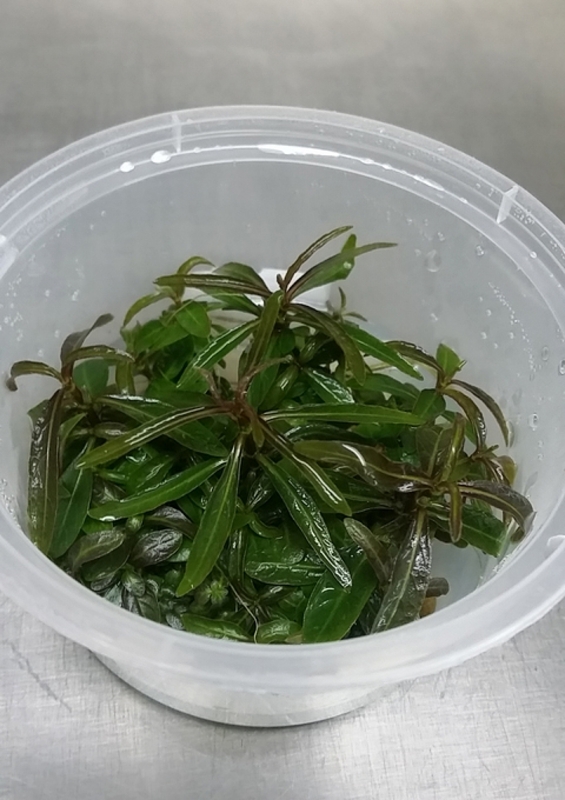 Hygrophila lancea branches easily and regular trimming will encourage bushy growth.